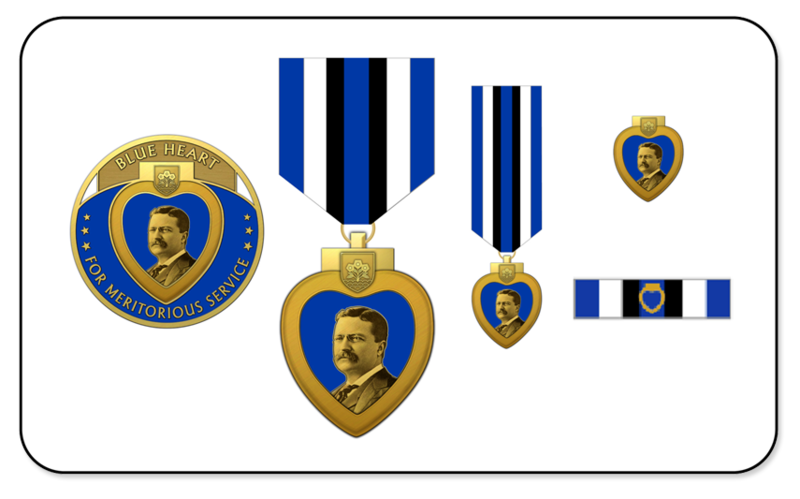 The BLUE HEART MEDAL is the first National Medal to be awarded to law enforcement officers, either seriously wounded, or killed in the line of duty. 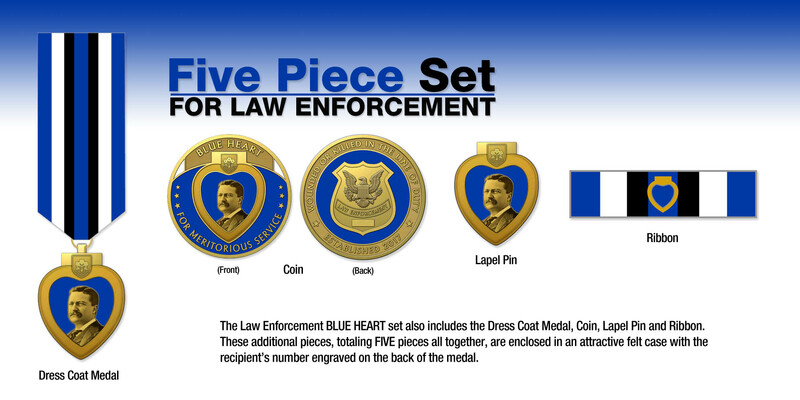 The medal is awarded to local, municipal, state, and federal law enforcement authorities. The BLUE HEART MEDAL sets the stage for recognition similar to the purple-heart medal awarded to military personnel who performed admirably during their service to our country. Members of law enforcement perform equally as well. Every day, each officer serves his law enforcement agency in the same regard by carrying weapons, serving the public, wearing the uniform, and responding to incidents that are life threatening. The law enforcement organizations requesting the medals will determine who the recipients are based on the unfortunate details of each event. 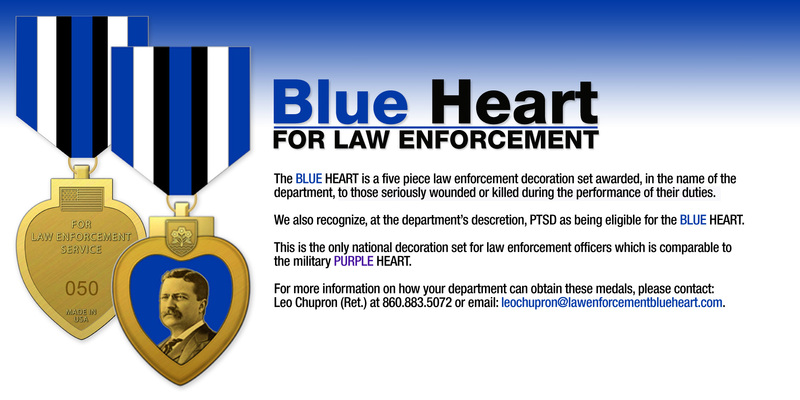 Each Blue Heart medal comes with a Certificate of Authenticity and is serialized and numbered for our journals. Request must be submitted to us by Town, City, State or Federal Law Enforcement Agencies on Agency or Department letterhead. Requests must come from either the Police Commissoner, Chief of Police, Sheriff or one who oversees the Law Enforcement Agency. Don't hesitate to contact us today if you have any questions on how to order through your department.